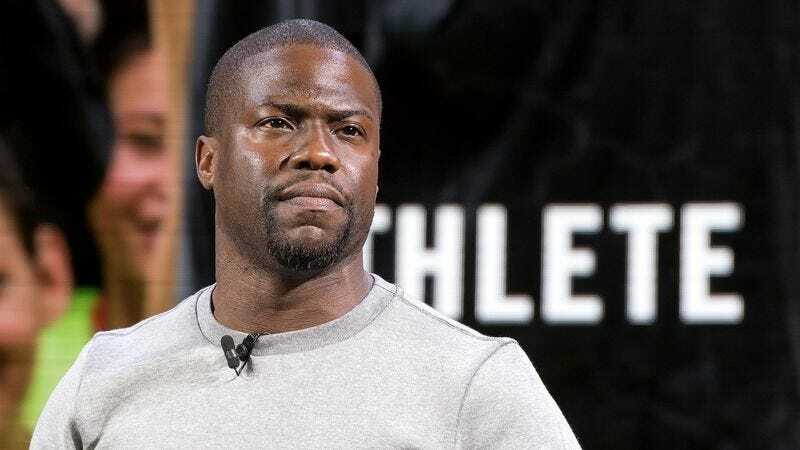 Just a day after word came out that Kevin Hart might be starring in an American remake of The Intouchables alongside Bryan Cranston, the superstar comedian has already leveraged that buzz into another unstoppable money-making venture. According to a press release, Lionsgate has teamed up with Hart’s production company, Hartbeat Digital, to launch a new, comedy-focused streaming service called Laugh Out Loud. The press release says it will now be “the exclusive home for all content created by Hart outside his theatrical and live touring activities,” and that it will also “include original series starring Hart.” The first of these will be a hidden camera show where Hart poses as a Lyft driver. Laugh Out Loud won’t be all about Kevin Hart, though, just mostly about Kevin Hart. The press release notes that it will also “showcase content curated by Hart, along with shows featuring social media stars and up-and-coming comedians.” One of these will focus on “social media phenomenon” Logan Paul, who apparently has 300 million Facebook video views. In addition to all of that, Hart and Lionsgate are also developing a “social adventure mobile game starring and written in collaboration with Hart” that will allow fans to go on their own quests to become “comedic rock stars.” The press release makes it sound a little like Kim Kardashian’s mobile game, but with the ultimate goal being that you become a famous comedian instead of just becoming famous. The Laugh Out Loud service is set to launch in the fall.